Here we are in January – the month of New Year’s Resolutions and generally getting healthy. It’s time to try out all that new workout equipment and apparel you received for the holidays. Did anyone get knee high running socks? These seem to be quite the trend in athletic and running apparel – convenient for those of us who like to wear athletic compression socks like our new TheraSport socks, as well as our Core-Sport socks. Gradient compression, which is compression that is greatest at the ankle and gradually decreases as it moves upwards, is known to improve blood flow from the ankle to the heart. The increased blood flow improves oxygenation and enhances athletic performance. Athletes that wear athletic compression garments may experience less delayed onset muscle soreness, less fatigue, improved performance, less edema post-competition and faster recovery. Gradient compression is common in the medical world, but virtually unknown in athletic compression, despite all its advantages for athletes. Most athletic compression on the market is the more basic all over compression. TheraSport and Core-Sport socks both feature lab-tested gradient compression available in 15-20mmHg and 20-30mmHg. TheraSport Athletic Performance and Recovery Socks, the newest addition of gradient compression socks to Therafirm’s line, are breaking the athletic compression mold. Not only do they offer the wearer the true gradient athletic compression, but they also have a number of other benefits that make them ideal for today’s most serious professional and amateur athletes or anyone who prefers a sports style sock. TheraSport socks are made with a super soft and lightweight material for exceptional comfort. A comfortable band provides a non-binding grip to help the socks stay up. High tech, moisture wicking yarns, as well as breathable mesh paneling and moisture-wicking fibers keep feet cool and odor under control. A unique “Y” heel stitching helps to keep socks in place. Additional Achilles and foot protection provide greater support and stabilization. Finally, a lightweight cushioning helps to absorb shock and protect feet during athletic activity. But, let’s not forget how cool they look! Seriously, these things look great, all the while providing beneficial gradient compression. It’s a win-win. So, get a pair, put them on and get to those resolutions! EASE Microfiber Tights – Beautiful, Comfortable, Easy to Put On! One of the biggest complaints among people who wear higher compression is that they’re not fashionable and downright ugly. But, with EASE by Therafirm that is truly a thing of the past. And, if there was ever any doubt, the newest EASE products are sure to erase it. EASE by Therafirm Microfiber Tights are beautiful and very fashionable. Everyday colors include Navy, Black, Coal, Cocoa, Mulberry and Winter White. Another big complaint about higher compression hosiery is that they’re hard to put on. But, just like all EASE products, our Microfiber Tights are made with high stretch yarns making them easier to put on than most other higher compression tights. And finally comfort. Many of the higher compression hosiery products are rough and terribly uncomfortable. But, not EASE. Our Microfiber Tights are made of super soft microfiber material, with a knit-in waist band and a smooth toe, ensuring all-day comfort. A reinforced heel and toe also make them especially durable. EASE by Therafirm Microfiber Tights, like all EASE products, feature gradient compression, meaning they deliver a controlled amount of pressure greatest at the ankle and gradually decreasing toward the top of the garment. Gradient compression promotes better blood flow and assists in preventing swelling. The tights are available in both long and short lengths and both mild (15-20mmHg) and moderate (20-30mmHg) compression levels, as well as the six fashionable colors. All Ease by Therafirm products are 100% made in the USA in Therafirm’s own manufacturing facilities. If your wardrobe includes mild to moderate compression hosiery, put on a pair of EASE by Therafirm Microfiber Tights. You won’t be sorry! In the 1940s, when a large part of the American work force was called upon to serve in the military during World War II, America’s women took up the slack in the workplace. Although, many of these women chose to return home at the end of the war, the numbers of women in the work force have steadily increased since then. According to the US Department of Labor, American women make up 47% of today’s labor force with just under 59% of women ages 16 and over were either employed or looking for work. Therafirm would like to salute career women this American Business Women’s Day on September 22. Hard work sometimes means long days. 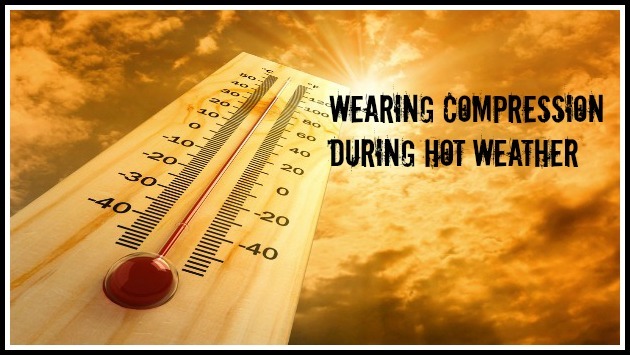 Wearing Therafirm Compression Hosiery can help keep your helps from swelling and feeling tired and achy. Many business women may want to try our Ease hosiery. Ease hosiery is easier to put on and more comfortable to wear. They come in professional and fashionably-beautiful colors, as well as a variety of styles. Try a pair of our new Ease Microfiber Tights with a simple, solid color dress and blazer for the ultimate in comfort and a professional look! Meet TheraSport! 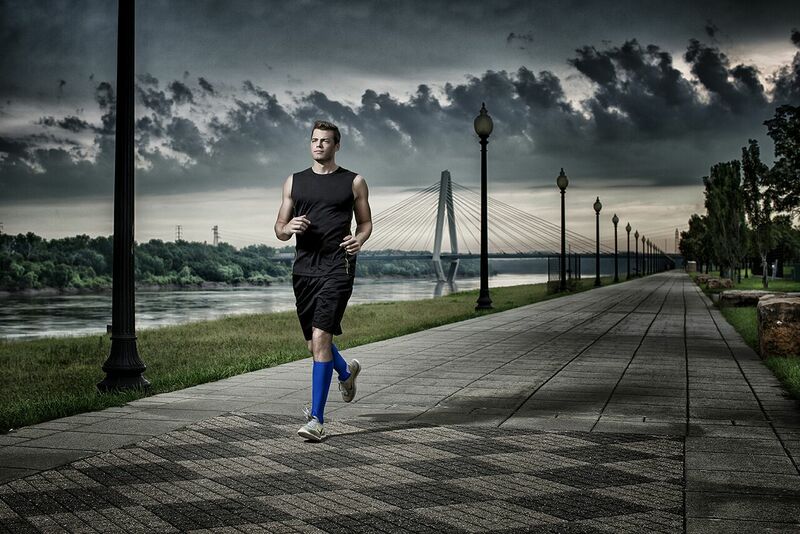 TheraSport is our new brand of athletic compression performance and recovery socks. TheraSport athletic socks are engineered to improve circulation and provide more energy for greater endurance, enhanced performance and a speedy recovery. While the medical benefits of compression have been known for some time, the benefits of compression for athletes have generated a lot of attention recently. Athletes that wear athletic compression garments may experience less delayed onset muscle soreness, less fatigue, improved performance, less edema post-competition and faster recovery. Gradient compression, which is compression that is greatest at the ankle and gradually decreases as it moves toward the knee, is known to improve blood flow from the ankle to the heart. This increased blood flow improves oxygenation and enhances athletic performance. Although common in the medical world, gradient compression is virtually unknown in athletic compression – as most athletic compression on the market is the more basic all over compression. TheraSport Athletic Performance and Recovery Socks from TheraSport are breaking the athletic compression mold. Not only do they offer the wearer the true gradient athletic compression, but they also have a number of other benefits that make them ideal for today’s most serious professional and amateur athletes or anyone who prefers a sports style sock. Are you ready for new colors for Fall 2015? We are!! And we’ve got an extra special beauty to keep your legs looking trendy and fashionable all fall and winter long. Our Diamond Trouser Socks look absolutely stunning in the beautiful cool Cosmopolitan Steel color. Winter may be grey, but the richness of this grey is sure to pop in any ensemble. Another great fashionable option coming later this fall is our new Berry Heather Tights. Berry Heather isn’t just a new color, but a beautiful new heathered texture, too. These tights will keep your legs feeling great and looking positively amazing at this season’s holiday parties and gatherings. Like all of our TherafirmLight socks and hosiery, these beautiful new Diamond Trouser Socks in Cosmopolitan Steel and Berry Heather Tights promote better blood flow and assist in preventing swelling in legs and feet. We think these colors will really be a hit this season. But, don’t worry if you haven’t yet picked up our Spring/Summer15 or Fall/Winter14 seasonal favorites. The Spring/Summer15 colors are still here! And the Fall/Winter14 colors can be purchased at a great discounted price . . . while supplies last!